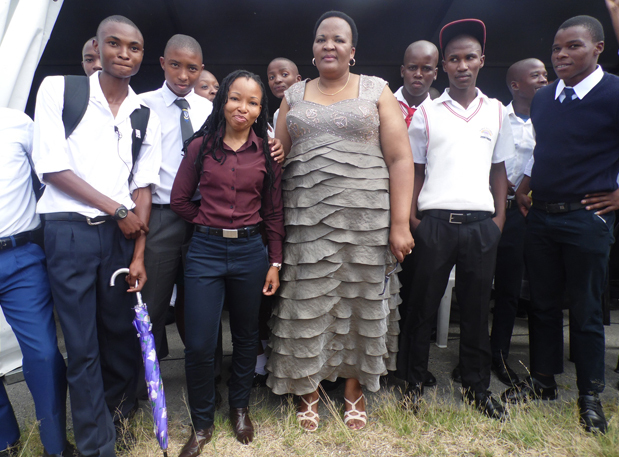 The executive mayor of Lejweleputswa District Municipality, Mathabo Leeto, has awarded bursaries to six members of local music group, Mohlakeng Acapellas, to study at the tertiary institutions of their choice this year. Leeto made the announcement at a function organised by the municipality, in partnership with the provincial department of education. 5 300 Grade12 learners were invited to the Phakisa Freeway Racecourse in Welkom to motivate them to do well in their studies. The mayor said last year’s Grade 12 learners in the province proved beyond reasonable doubt that coming from a disadvantaged background is not a reason or an excuse not to do well at school. 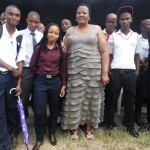 She told this year’s Grade12 learners that they have a huge responsibility of ensuring that they produce better results than the class of 2013, which came out tops out of the nine provinces. “Our target as a province was for the matriculants of 2013 to obtain a pass rate of 85 percent, but these learners made us very proud by exceeding that goal and obtaining an amazing 86 percent. This year, with the necessary resources and support provided, our aim for the 2014 grade 12 learners is set at 90 percent and we are confident that you can achieve that,” said Leeto. Eminent people, who formed part of a panel of motivational speakers, including senior Central University of the Free State administrator, Dr. Solomon Makola, the department of education’s Lejweleputswa district direct, Amos Mokgobo, curriculum advisor, Tshidiso Baretseng, and motivational speaker, Seadimo Tlale addressed the learners. Mokgobo said the provincial department of education will offer this year’s matriculants numerous academic support programmes to ensure that they perform well in their end of the year exams. “There will be Easter, winter and spring classes as well as weekend classes for struggling learners. There will also be a community learners’ programme that teachers, parents and other community members can participate in to support the children,” said Mokgobo. The recipients of the mayor’s bursaries, Mohlakeng Acapellas, have been featured on a track in the upcoming album of Lesedi FM presenter, Seipati Seoke, aka Twasa, who was the programme director on the day. “I grew up in this part of the world, these are my people and this is home to me. With the great marks from the last year’s matriculants, it is an honour for me to be part of the preparation for this year’s matriculants. 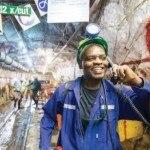 When I first heard the Mohlakeng Acapellas, I knew that I needed to include them in my next album, before someone else snatched them away,” said Twasa.